Another toughy. Seriously. Oh, it’s not like I force myself to watch a lot of dramas I hate, because I don’t. If I don’t like something, I tend not to finish it, but there’s been occasions as well where a great drama turns to carp in the final stretch which can then obliterate it’s place in your heart. I’m not sure that there is one particular drama that stands out for me as being my LEAST favorite. We have Kame’s One Pound Gospel that I just couldn’t get through, along with the atrocity that was A Man Called God. And let’s not forget about the popular drama from Singapore—Breakout. But then again…there’s the horrible shipwreck of last year’s May Queen. By the end of that series, I was pulling my hair out in frustration. Badly written characters, badly written plot, some horribly cheesy dialogue (only made okay when said by the awesome Kim Jae Won), and the not so great acting of the leading lady… Nope. I think I’ll claim this drama as my least favorite for the moment. Give me a day, I’ll probably change my mind, but for right now, I’ll pick that one. The ONLY reason I finished that nightmare was because of my resolution NOT to drop dramas that I choose to recap. When I fell in love with the first 9 episodes thanks to Kim Yoo Jung and crew’s acting, I would never imagined the nightmare that would await me as the series drug on…and on…and on…how did it get that extension? How did this drama win an award for it’s script? 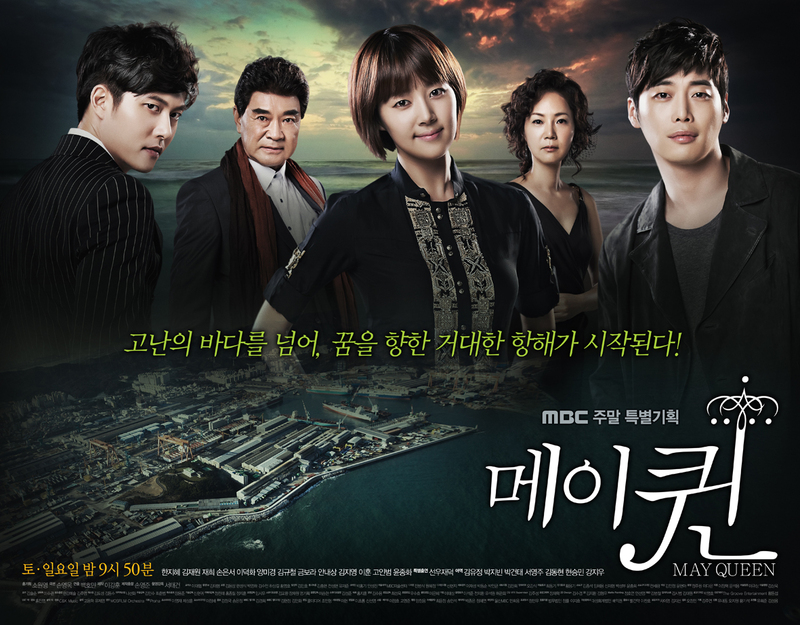 The funny thing about May Queen? This evil drama caused my blog to receive the most hits it had ever received—over 4,000 in a single day. Ironic, isn’t it? A drama I loathe and detest is what brings people to my site. Rock on… but then again, I read on another drama blogger’s blog that “we watch so you don’t have to” and I think that is very apt for this drama’s case. I suffered through it so you can read about the shipwreck instead of watching it. Just out of curiosity, what is the average # of views you get a day? Mine recently picked up (because I finally was able to post again lol), but I don’t know when it’s worth it getting a custom domain. Stats are always funny. There have been dramas I recapped as they aired and they got no love while I was recapping them, but for some reason months or years later those recaps hit the top of the search list and most visited pages. Hmm. Well, it depends. During the months after May Queen until the start of a new drama season, I was averaging 900-1500. Now that has changed and I’m averaging around 2000-2500. During May Queen I was averaging 3000-4000. Custom domains are nice and relatively cheap unless you want to do self hosted website as those are more expensive and can be more of a headache, too. Ahh see I’m more in the couple hundreds range right now. That’s why I’m not sure if it’s worth getting a custom domain yet – or if I’ll even get accepted to WordAds or Blogher. Then again Give Me Dramas isn’t even a year old yet (almost! ), so we’ll see how this summer turns out.